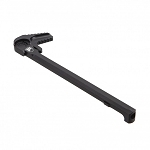 even some flash hider types keeping the flash out of your optics and line of sight. 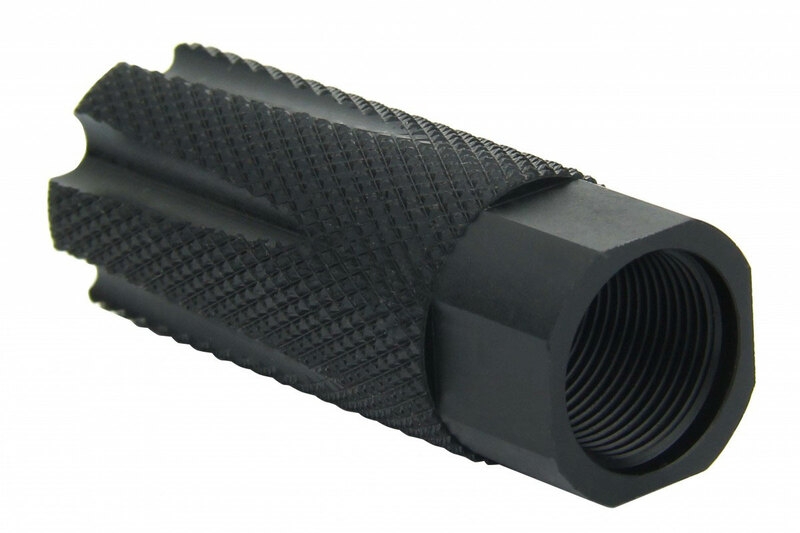 Eliminates muzzle climb 70% to almost non-detectable levels. 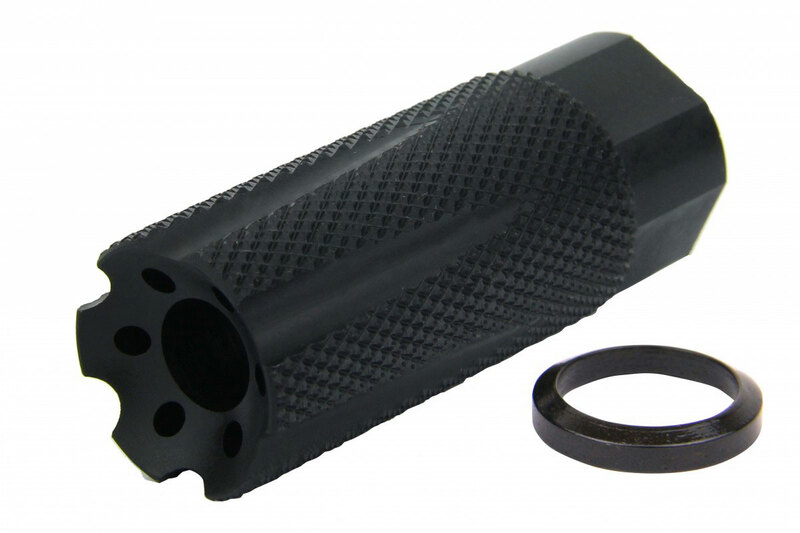 Recoil Technologies break has superior muzzle climb compensation this break will keep your shots on target & speed up follow up shots greatly. 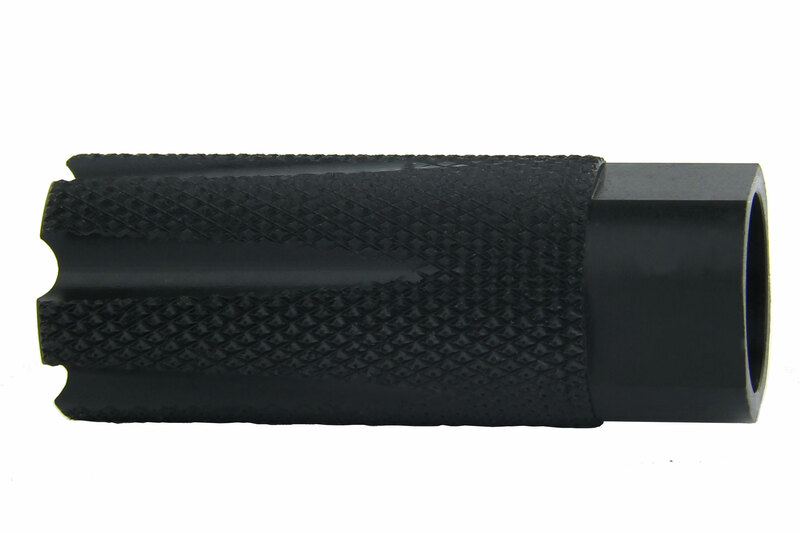 Designed by 3 gun competitive shooters to keep the bore level & clear during fast repeat shots. On Ar-15 pistols it reduces greatly that huge fireball & noticeable blast that comes out of the end of the muzzle of Ar-15 pistols. Making this an excellent choice for Ar-15 pistols & Rifles Both. Quality made for a lifetime of shooting and really sets off the look of the gun Great For AR-15 Pistols. Designed to redirect propellant gases with the effect of countering flash, recoil and unwanted rising of the barrel during firing.